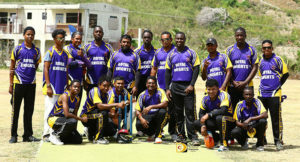 Following a break, action resumed in in the Peter Haycraft Twenty 20 Cup in Greenland on Sunday, with the Royal Knight’s Jumal LaFleur blasting the fourth century of the tournament, sending Island Stars to their second loss. During the afternoon match, Grenada’s Irvin Lewis bagged four wickets that triggered host’s Roadtown Wholesale’s second defeat. LaFlour laid the Royal Knight’s foundation with a knock of 106, as putting up 276 for 5, in their tournament debut, before he was bowled by Elvis Phillip. Phillip also bagged Anthony Slowley’s wicket for 38 and finished with 2 for 31. Jamal Mickle had a contributing 44 not out. Island Stars who couldn’t meet the required run rate, lost wickets regularly with Narsh Fredericks ploughing through their order, to bag 4 for 41, as they fell to 183 for eight in their chase. Gregory James 41 was the top score before he was caught at second slip. Ransal Minicore had s supporting 38 and captain Keelan Robin, 31, before he too was caught in the gulley. Since the tournament is using a round robin format, LaFleur said it was important to win their first game by a certain margin because net run rate will play a factor in who advances. “It’s good to win by a big margin,” he said. 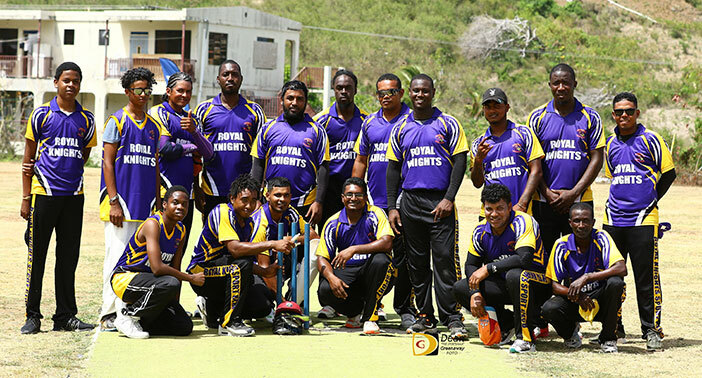 Robin, who Island Stars’ captain, said he can’t take anything away from Royal Knight’s performance. Meanwhile, debutants Grenada sent Roadtown Wholesale who lost their last outing to the crease, after deciding it would be best to send their hosts to bat, a strategy that paid off led by Lewis, who bagged 4 for 19. Roadtown Wholesale’s top order had no answer for Grenada’s bowling as several of their dependable batsmen were dismissed for less than 10 runs and they found themselves at 63 for 4. Matinda Pope and Curtis Jack stabilized the Grenada assault by string together a 67 run partnership, before Jack was caught by Delano Johnny at mid-on for 43, as one of Lewis’ prized wickets. Pope’s 64 not out, helped Roadtown Wholesale to reach 177. Grenada’s Gary Prince plucked 2 for 28. In reply, Grenada were 178 for 2, as Jason Thomas led the way with 60, before he was caught out. Jamal Innis was bowled for 41 while Gary Prince finished on 34 not out.